WEST LAFAYETTE, Ind. – Researchers have created a new type of non-liquid lubricant that has been shown to reduce friction and wear significantly under the extreme conditions found in various applications, from air compressors to missile systems. The new liquid-free composite is made from a slurry of a material called graphene, zinc oxide, and the polymer polyvinylidene difluoride. Graphene is an extremely thin layer of carbon that has many potential technological applications, including lubrication. “It has superior thermal conductivity, high strength and provides ultralow friction,” said Vilas Pol, an associate professor of chemical engineering at Purdue University. 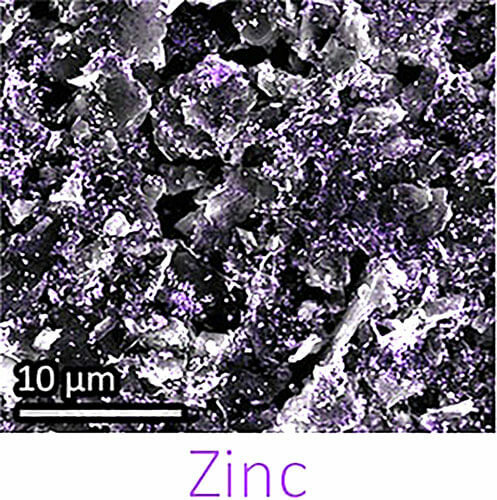 The nanosize zinc-oxide particles the team developed allow the lubricant to stick to the metal surface, and the polymer binds the whole mixture together, said chemical engineering graduate student Arthur Dysart. Solid lubricants are needed for applications such as air compressors, equipment used in the food industry, space vehicles, gear-and-chain mechanisms, fasteners found in high-temperature environments, missile systems, high-speed printers, hydraulic motors in winches, cranes and military vehicles, high-performance shredders and drilling rigs. Researchers tested stainless-steel surfaces coated with the new lubricant. “We tested it under worst-case scenarios,” said mechanical engineering graduate student Abdullah A. Alazemi. Findings were detailed in a research paper published on July 11 in the in the journal Carbon. “The durability and resilience of this adhesive coating suggest exceptional potential as a dry lubricant for high load-bearing applications,” Pol said. The researchers found that the composite lubricant sets up a film that significantly improves friction and wear reduction. Raman spectroscopic analysis of wear scars revealed this persistent protective film on contact surfaces. A complete list of the paper’s co-authors is available in the abstract. The research is ongoing, and future work is planned with industrial partners. 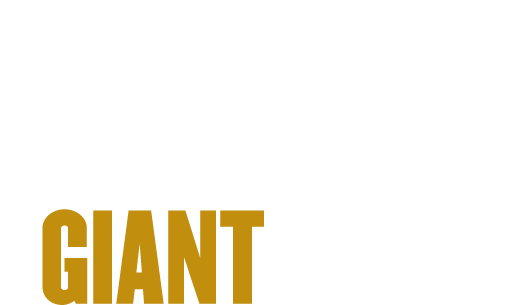 The researchers applied for a patent through the Purdue Research Foundation’s Office of Technology Commercialization. 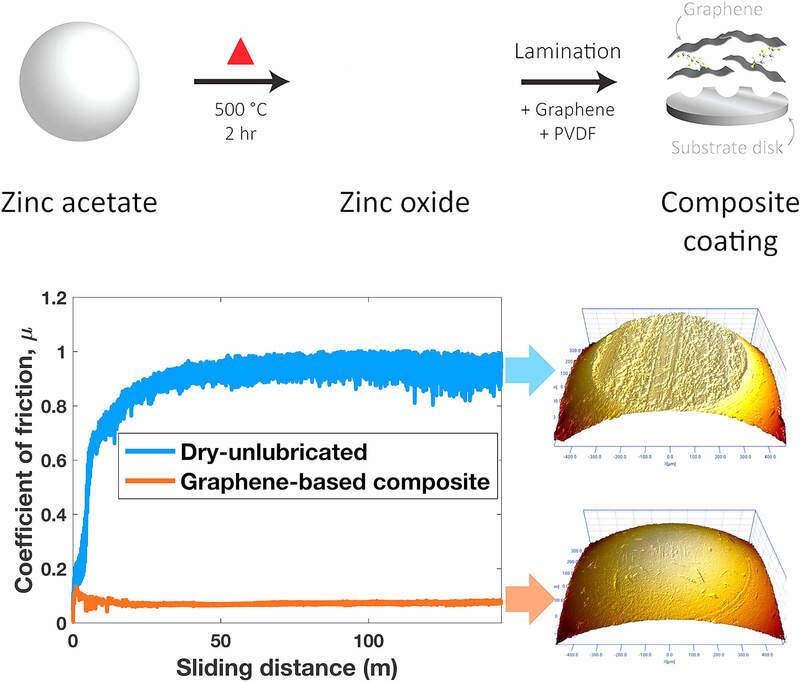 A novel graphene-zinc oxide composite film is created and studied as a solid-state lubricant for friction and wear reduction under extreme load conditions. The liquid-free composite is made from a slurry of graphene, zinc oxide, and polyvinylidene difluoride spin-coated onto a stainless steel substrate. Enhanced tribological performance was measured under ambient conditions using a ball-on-disk tribometer with contact pressures up to 1.02 GPa and sliding distances up to 450 m. The graphene-rich lubricant demonstrates substantial friction and wear reduction (ca. 90%) compared to unlubricated sliding. The composite film is able to maintain its lubricating effects under extreme operating conditions including 15 N normal load and 450 m sliding distance. Following tribological testing, optical and spectroscopic analysis of the formed wear scars reveal a persistent protective film on the ball and disk surfaces. The excellent tribological performance of this graphene-rich composite is attributed to the adhesion effect from zinc oxide: zinc adheres graphene to the contact interface, maintaining improved tribological performance under high contact pressure. The durability and resilience of this adhesive coating suggest exceptional potential as a dry lubricant for high load-bearing applications.